As you walk through this stunningly renovated Victorian bank building, the wow factor never lets up - from the lavish chandelier in The Great Room restaurant to the magnificent Art Deco extension with spa, gym and rooftop hot tub. Exquisitely groomed, antique-festooned suites are named after well-known local writers and artists, with the laters' work forming part of the decor. And all rooms have the latest mod-cons including downloadable bedtime stories read by local actor James Nesbitt... who could possibly resist? 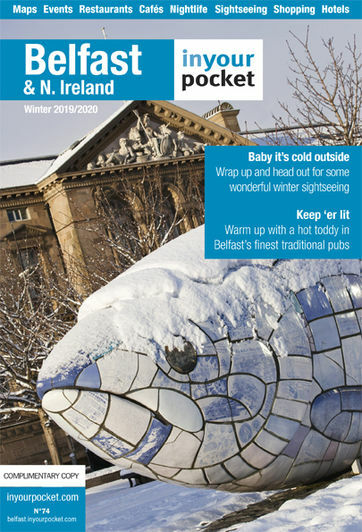 Award-winning cocktails in The Bar and live music at Bert's Jazz Bar, along with The Cloth Ear trad pub and Ollies nightclub, attract hotel guests and Belfast's nightowls ever in search of the latest 'in' place. This is without doubt the city's most fabulous overnight option. (rooms from £160, suites £370-450).